Birds! is another Betsoft online 3D slot delight! 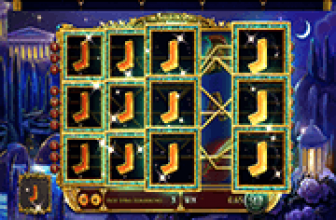 It offers bonus spins or Flight actions, for every set number of winning combinations completed. Such a feat is not so difficult to achieve in this slot game, because matched symbol groupings need not conform to fixed payline patterns. Birds! of a color, positioned next to each other vertically, horizontally or in L-shape formation make a win. Moreover, the reels run on the Cascading Reels game engine. A mechanism removes all winning symbols and subsequently fills up every gap by dropping icons from above and by bringing in new ones. Technically, what transpires is similar to a win-triggered free spin, as the modified icon arrangements will be evaluated for any new winning combos. Every Birds! totem forming a winning Flight combo pays individually. This denotes that the greater the number of identical Birds! 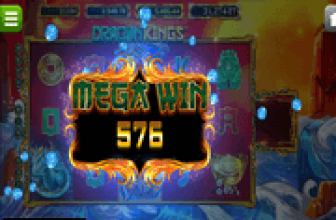 images comprising a win, the higher the coin credits received as rewards. Birds! payouts range from 10 up to 500 coin credits. The rewards are awarded based on the kind of totem that completed a winning Flight combo. A large Multicolored Fiesta-themed Bird is the Wild Symbol. It flies with the flock and perches on the wire, ready to pose as substitute icon if doing so will help complete multiple or greater paying Flight wins. Birds! Game Info gives a promise that the Wild Fiesta Bird Symbol is configured to pay up to 910 credits for every Wild totem used to complete a Flight Win. Take notice of the Flight Meter right next to the slot screen. This Birds! 3D Slot uses the meter to monitor the winning Flight combos occurring in succession. The meter contains liquid that rises with every win occurrence, and tends to change color to indicate the Free-Flight Bonus Game in the offing. 4 Consecutive Flight Wins – The meter is filled initially with blue liquid, for which eight (8) free-spins will be triggered. 5 Consecutive Flight Wins – The meter is now full to the brim, while the Blue liquid will turn Green. If the Cascading Reels result of the 5th Flight Win did not produce another winning combo, the Bonus Game will launch with 12 Free-Spins. 6 Consecutive Flight Wins – At this stage, the Flight Meter is now more than full, as it has already kept track of 5 Consecutive Flights. If the Cascading Reels mechanism produces a 6th Flight win, the Green liquid turns Yellow. The Yellow color signifies that 20 free-spins will be activated as Free Flight Bonus Game. Actually, the number of Birds! Flight Wins that can be activated is limitless, as the Free Flight Meter will continue to keep track of wins occurring in succession. Starting with a 7th Consecutive Flight Win, an extra set of 14 free-spins will be activated. Those are in addition to the Flight Wins spurred by the Cascading Reels mechanism. Birds! - Visually Pleasing and Advantageously Rewarding Free Flight Wins! Birds! 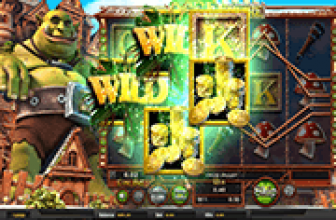 3D online video slot by Betsoft furnishes an enjoyable slot gaming engagement as the Cascading Reels game engine could trigger an endless supply of advantageously rewarding Free Flights!